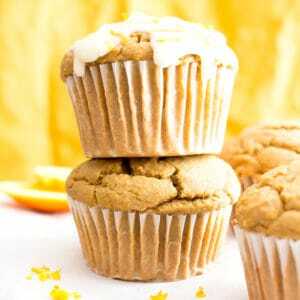 Easy Orange Muffins Recipe (V, GF): a fun recipe for perfectly moist homemade muffins bursting with zesty orange flavor! The best healthy ‘n delicious breakfast to help start your day right! Vegan, Gluten-Free, Dairy-Free. First there were lemons, then there were oranges!! 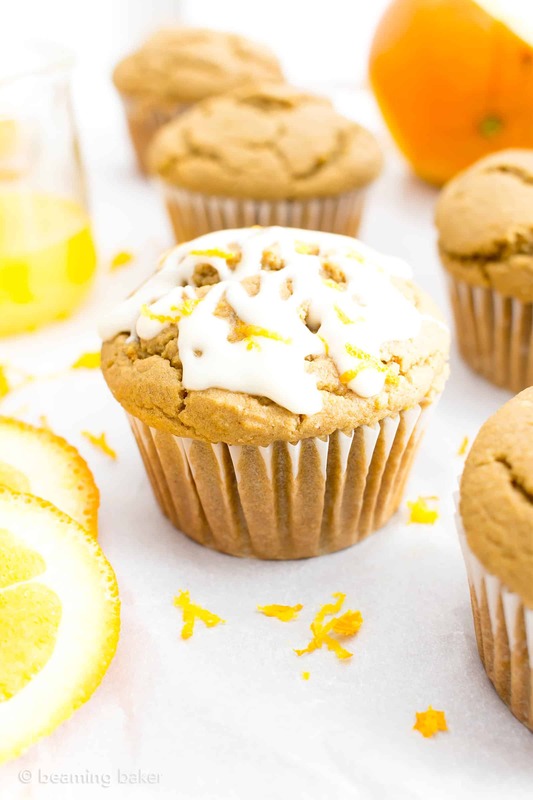 By that I mean, of course, first there were Healthy Lemon Poppy Seed Muffins and then there was this Easy Orange Muffins Recipe. Are you excited? 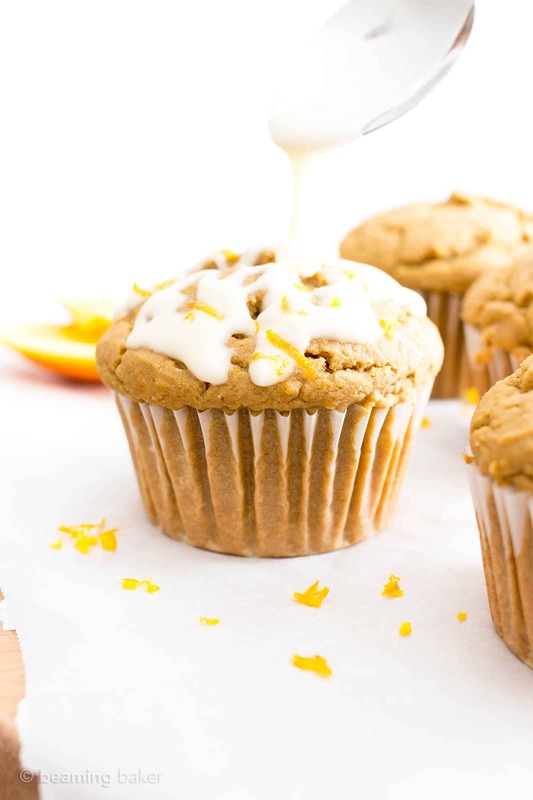 I’m so thrilled to be sharing my very first orange recipe on Beaming Baker! I don’t actually know if that’s unusual or not… Are you a big fan of all things orange? Growing up, one of my sister Monica’s favorite foods was orange creamsicles. Does that count as a food? 😉 She was probably the only sister out of the four of us that actually liked fruit-flavored anything (over chocolate, of course). I mean, what was she thinking?? Actually, that’s quite a few fruit-filled recipes! Dang, I’m good at this adult fruit business!! Let me just pat myself on the back while I try heartily to avoid thinking about what “adult fruit” could be a euphemism for… ??????? 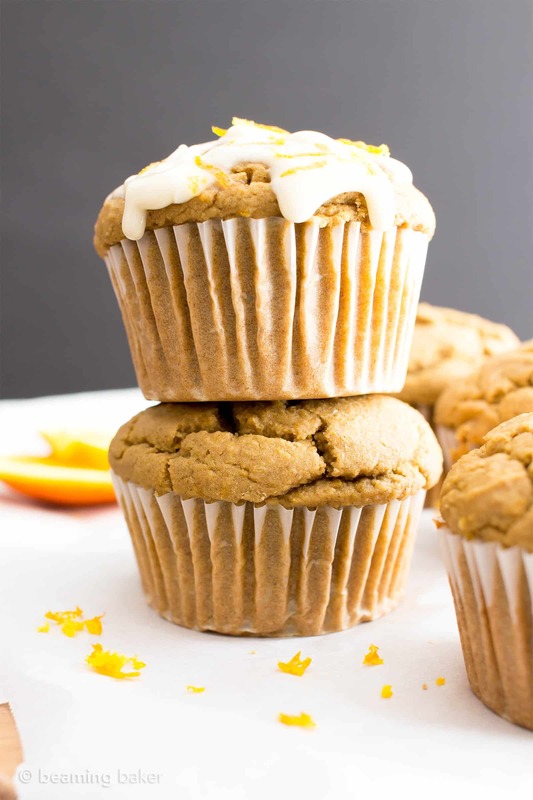 ?Side note: I’ve been totally eyeing these Healthy Gluten Free Sweet Potato Muffins from Food Faith Fitness! I’m thinking of trying the recipe with a flax egg instead of the egg to make it vegan. Back on point, I’ve been thinking about Monica a ton because…guess what?!? It’s her birthday!!! Woohoo!!! I was going to put a birthday spin on my vegan chocolate cake recipe for the big day, but decided to set the chocolate aside as a fruit-filled tribute to Monstee! When I was little, I looked up to her big time. She was soooo cool! She was on the basketball team, actually had her photo in the local newspaper for her basketball prowess and even had cool matching basketball shoes with her ultra-rad team. But no matter how cool she was, she always made time for me. I’d show her my drawings, cry on her shoulder about a bully at school, and ask for advice on how best to style my hair in the morning so it wasn’t just one big, giant fuzzball. And she had the answers to it all. Nowadays, she’s a big, bad professor who teaches her students to reach for more and to think more openly. See the world in a way that they haven’t before. And I know she’s making a difference in their lives, just like she did in mine. I think her favorite fruit of all time, in terms of desserts, is lemon… but I wanted to switch things up for her special day (in tribute to those Orange Creamsicles, of course). 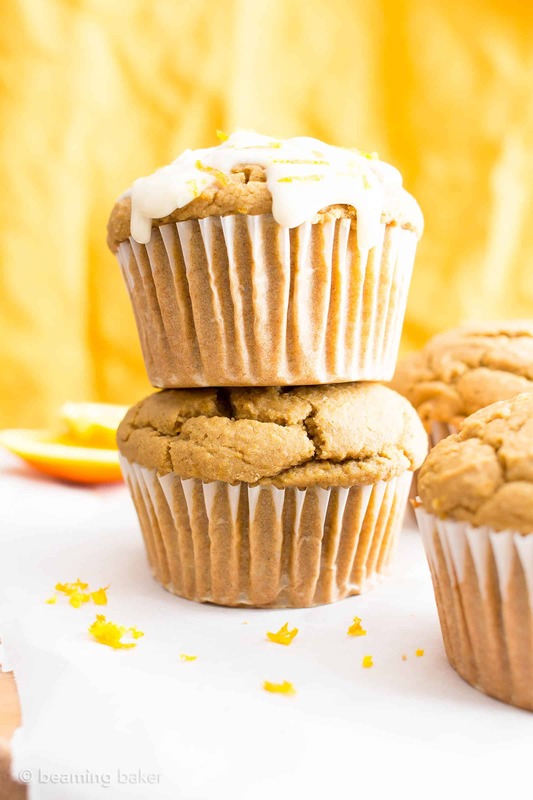 May I present to you Monica’s Super Special Birthday-Level Delicious Easy Orange Muffins Recipe? I’m thinking we gotta make a big batch with double extra glaze, some orange gummies on top and a big orange candle to celebrate her special day. Who’s with me? 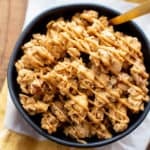 easy to make and even easier to eat! Are you ready to get your bake on? Let’s do this! I’ve gathered all of my juiciest oranges! Why don’t you grab the gluten free oat flour? 🙂 I’ll meet you in the kitchen! 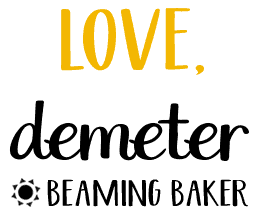 I love baking, no-baking, and sharing in these tasty kitchen adventures with you. It’s always the best seeing what you’ve made and posted a pic of on Instagram. 🙂 I can’t wait to hear what you think. … and some chocolate recipes, just for fun! Try my Chocolate Ganache Cupcakes and my very favorite Vegan Gluten Free Chocolate Cupcakes / Vegan Chocolate Cake Recipe! 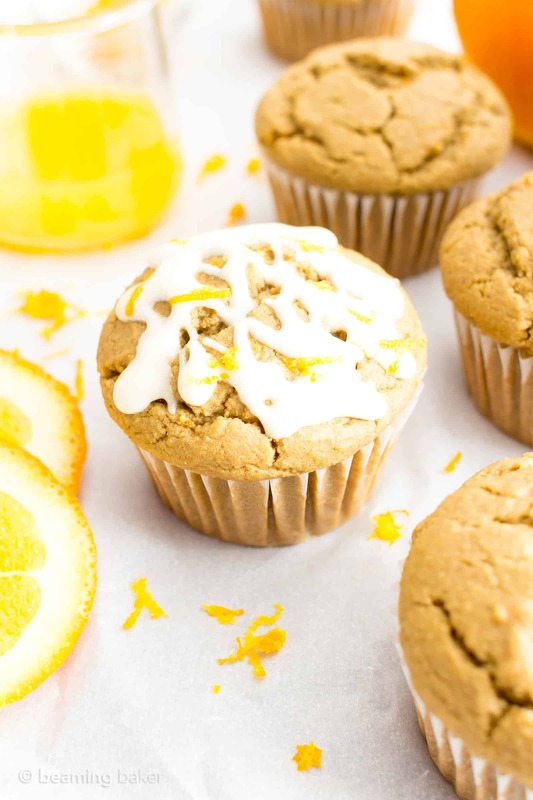 Easy Orange Muffins Recipe (V, GF): a fun recipe for perfectly moist homemade muffins bursting with zesty orange flavor! Vegan, Gluten-Free, Dairy-Free. In a large bowl, sift together all the dry ingredients: oat flour, almond flour, baking soda, baking powder and salt. In a medium bowl, whisk together all wet ingredients: water, milk, orange juice, orange zest, oil, sugar, maple syrup and vanilla. Whisk until well incorporated. 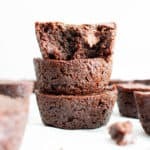 Pour batter evenly into prepared muffin pan—filling each cup all the way to the top for big, round tops, and ¾ of the way for a larger quantity of smaller muffins. Bake for 22-26 minutes. Mine took 24 minutes. Insert a toothpick to check for doneness—once it comes out clean, it’s done. Place muffin pan on a cooling rack to cool for 20 minutes. Remove muffins from muffin pan and transfer to a cooling rack to cool completely, about 1-3 hours. Optionally, in a small bowl, whisk together Glaze ingredients until thickened: confectioners’ sugar and orange juice. Drizzle muffins. Enjoy! Storing instructions below. Get your morning fruit on with my Healthy Lemon Poppy Seed Muffins and my Blueberry Banana Almond Breakfast Cookies. - *Powdered sugar substitutes: Swerve powdered sugar is a good sugar-free, low carb substitute. You can also grind the sweetener of your choice, such as Xylitol, in a coffee grinder or small blender until you get a powder. Since Swerve is a bit drier, use about 2 ½ teaspoons orange juice to make the glaze. - *You can also add more powdered sugar if you’d like a thicker glaze. - Storage notes: Store in an airtight container for up to 1 week in the refrigerator, or in a cool, dark environment. Glaze when ready to eat, or day of. - To Freeze: store in an airtight container or bag, unglazed, in the freezer for up to 1-2 months. Allow to thaw for about 30 minutes at room temperature before enjoying. Or, heat in the microwave in 15 second increments until just warm. 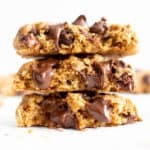 - More Gluten Free Breakfast Recipes (all V, GF): double chocolate banana muffins, good morning breakfast cookies, peanut butter oatmeal breakfast bars. Ooh those look beautiful, and your photos are gorgeous – Happy Birthday to your sister! What delicious looking muffins :)! 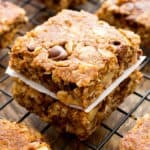 I love that they are also refined sugar free! 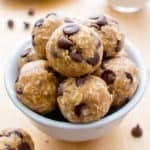 Love how easy, delicious and healthy these muffins are! birthdays are my favorite celebration! hbd to your sister! <3 these muffins look so good. i love the burst of flavor the orange gives! Agreed, birthdays are so much fun! She’ll definitely appreciate the b-day message. ???? And double agreed on the orange flavor! These must taste yum. I live Easy desserts like this. Hope your sister’s birthday was fun. Happy birthday to her. Oh yes, they taste amazing! ???? Easy desserts are the best. And thanks for the well wishes for my sis! ???? I love lemon muffins! I never really thought about orange! Can’t wait to try them! They are just amazing—sweet, zesty and so satisfying. Hope you get a chance to try them Dorothy! You make me hungry! Looks so perfectly good! Haha then my job is done here. ???????? Is the oil necessary? Anything I can sub it with? Thanks Natanja! ???? The aroma is definitely one of the best parts. ???? I LOVE the sound of these! Yes! They are seriously so good! ???? My kiddos will love these muffins! Perfect grab-and-go snack! Exactly! So wonderful for busy mornings—or afternoons. ???? 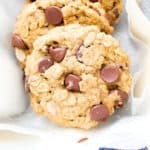 Since I don’t eat oat flour, I’m wondering if anyone has tried any other flour in these like coconut or tapioca by chance? Thanks Marsha, I will definitely pass the birthday wishes along to her! 🙂 And yes, there’s nothing like the a good orange treat. ???? My kids are obsessed with oranges right now! These are perfect treats! My kids will love these! GF isn’t necessary for our family. 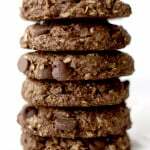 Would whole wheat flour be an appropriate substitute for the almond flour? 1:1? Hi! Love orange flavored goodies! What can you sub for the almond flour (tree nut allery) ? 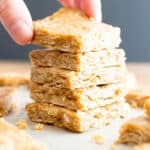 More oat flour? Regular GF all purpose? These look wonderful! I’d like make them for a little girl who can’t have almonds. Can’t i just add more oat flour or sub for something else? Hi Kaytee! 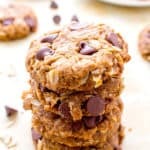 I haven’t tried it in this recipe before, but I’d say try subbing the oat four and almond flour for a total of 2 1/2 cups + 2 tablespoons oat flour. The texture will come out a bit different though, so you’ll need to try it and adjust a bit as necessary. Let me know how they turn out! Hey Demeter! I made the orange muffins today and added cranberries but they don’t have much flavor. Could I replace some of all of the almond milk and water with more oj, and/or increase the zest? What do you recommend? I wanna make these again tonight! Absolutely delicious!! I didn’t make the glaze and I ommite the coconut sugar. It’s definitely a keeper. Thank you!! By the way, I love your recipes. 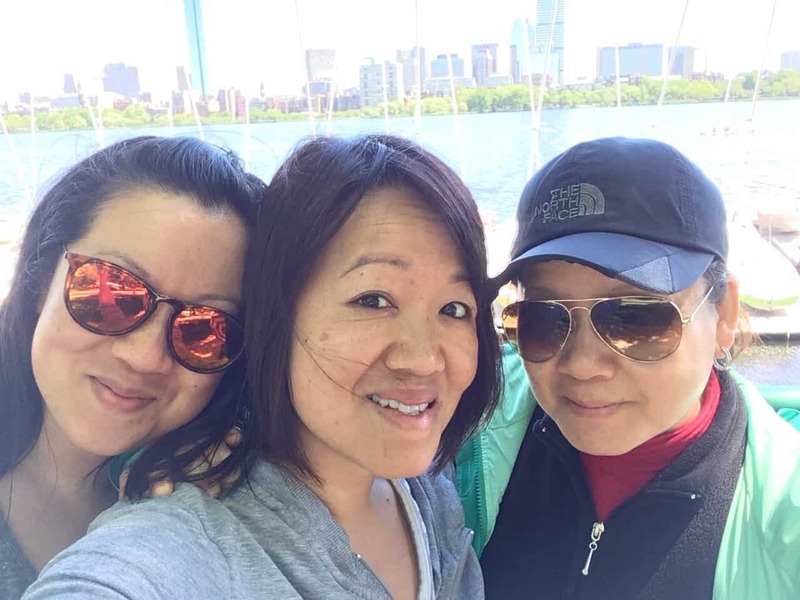 Thank you for sharing with us! Woohoo!!! There’s not much more I love hearing than “this recipe’s a keeper!” 🙂 Thank you so much for your kind note. Big hugs to you, Lydia!